If enthusiasm is fire, you should fan it and keep it burning. Enthusiasm is a great motivation to help you deal with the problems and move on. Do you want to be the kind of person who is enthusiastic all the time? 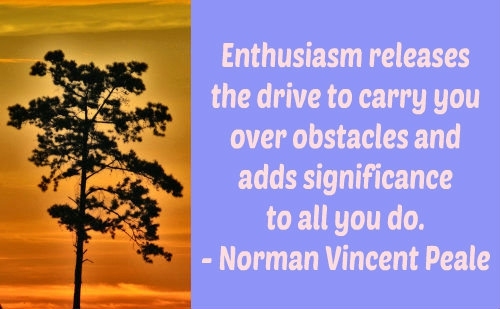 Read these quotes about enthusiasm to find some good ideas! Lack of enthusiasm afflicts some folks no matter what their age. One of the secrets to a successful life. If you want to accomplish something, don't be discouraged by obstacles. 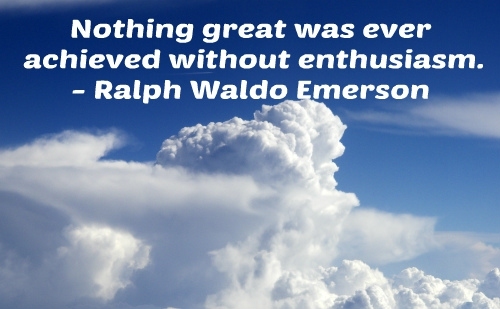 Enthusiasm is the motivation to achieve your goal. The power to make things happen is in your hands. You've just got to believe. No magnificent melody is created without enthusiasm. If success is what you want, keep your passion alive. Don't let frustrations get you down. Keep enthusiastic no matter what you do. If you have it, there are no limits to accomplish something. Great people don't give up easily. Do you want to be a carrier of it? Enthusiasm offers you great energy and courage to fight against obstacles. Faith is nothing without action. There will always be something new to learn, to accomplish. If you have to get lost, get lost in your passion. Your enthusiasm to life should be passed on to others. It starts with the enthusiasm to learn, everything else becomes a possibility. If you have a vision, you also need passion to make it happen. The worst kind of wrinkles are on the soul. Your faith and your plans should be backed up by action. Lead people with common desire. Quotes about enthusiasm want to tell us: The fire of enthusiasm should never be extinguished. Server responsed at: 04/19/2019 11:30 p.m.